by Ahrén, Mattias, Ali, Natasha, Cabrera Medaglia, Jorge A., Greiber, Thomas, Kamau, Evanson C., Nieto Carrasco, Jimena, Oliva, Maria Julia, Pena Moreno, Sonia, Perron-Welch, Frederic, Williams, China. 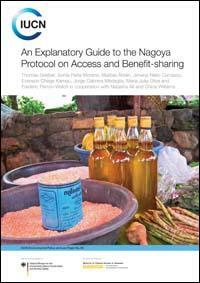 The main goal of this Explanatory Guide is to facilitate the understanding of the legal obligations of the Parties under the Nagoya Protocol on Access to Genetic Resources and the Fair and Equitable Sharing of Benefits Arising from their Utilization (ABS) to the Convention on Biological Diversity. This guide is the product of a fruitful, constructive, and harmonious collaboration with ABS experts from different regions and international institutions who engaged with IUCN in the writing and reviewing of this Guide. This publication serves as an adaptable tool for future ABS capacity-building and awareness raising initiatives, as well as an important reference for countries in their efforts to implement the Nagoya Protocol and operationalize ABS in practice.